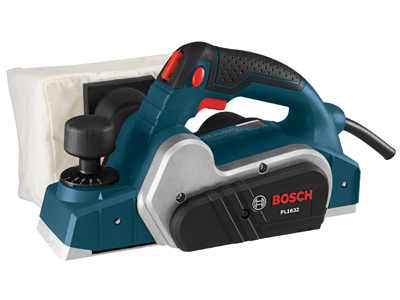 The Bosch PL1632 3-1/4 In. 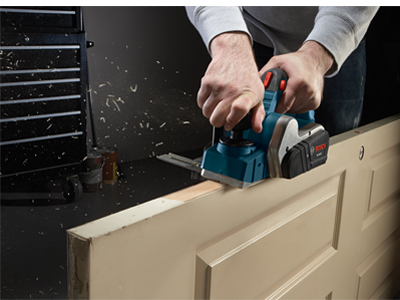 Planer delivers for pros who need to plane doors or other surfaces quickly and evenly. 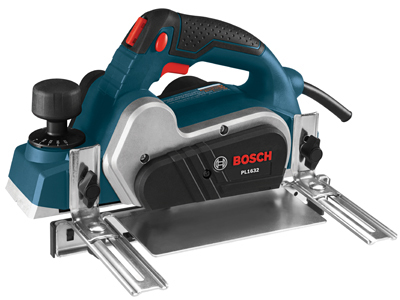 It delivers performance, convenience and security – with an outstanding planer-guidance system. 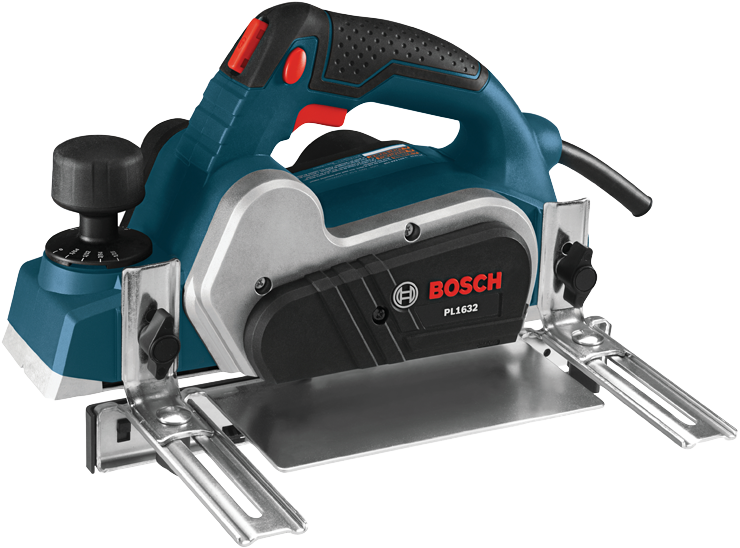 It has a 6.5 Amp motor that produces 16,500 RPM for fast stock removal and smooth finishes. 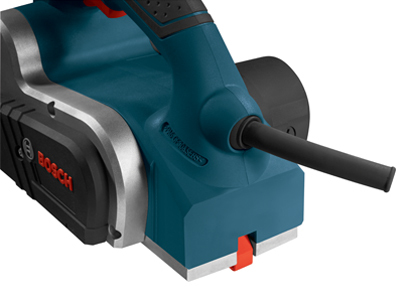 The tool's ambidextrous lock-off release button helps prevent avoid accidental starts, and it has a lock-on button for extended operation, a combination that is unique to Bosch planers. The aluminum front and rear shoes are precision-machined together for accuracy, and the tool has a machined groove for chamfering. 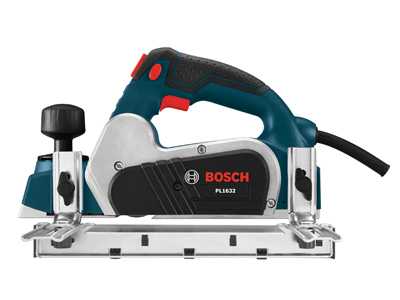 Its counterbalanced blade design puts the blade at an ideal cutting angle and eliminates uneven planing caused by misaligned blades. 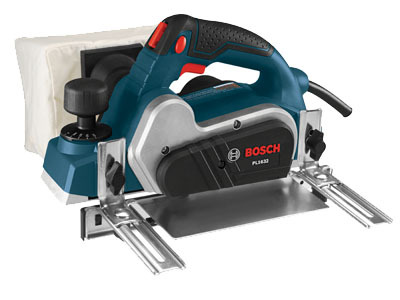 It comes equipped with a reversible Bosch Woodrazor micrograin carbide blade. 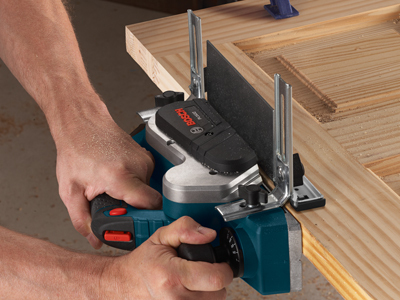 The tool also provides a spring-loaded stand that elevates the planer to protect the blade. 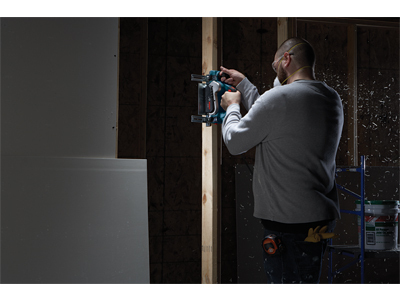 The dual-mount guide fence can be mounted on either side of tool, with a plastic overshoe that offers protection for the workpiece surface. 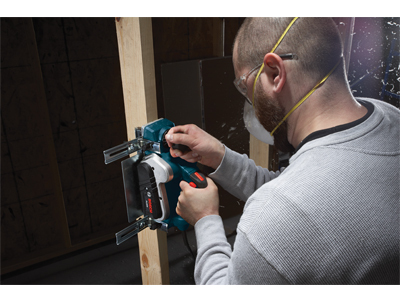 The dust port accommodates a large shavings bag. 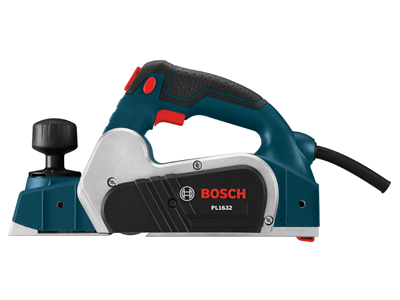 This planer is built with a poly micro-V drive belt for enhanced belt durability and a ball-joint cord swivel for enhanced ease of positioning the tool and cord.